A couple weeks ago I shared my Cherry Bombs recipe with you. 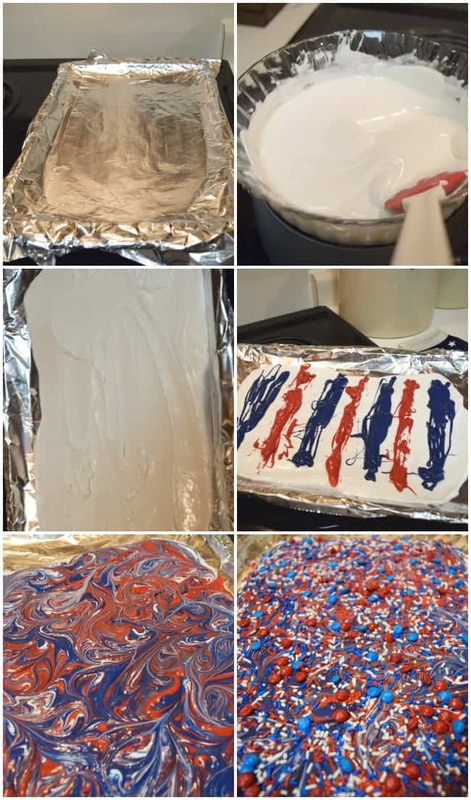 It is an incredibly easy recipe to make for the 4th. I am back today to share another easy snack for the upcoming holiday. This festive holiday bark recipe. You really don’t need much for this one. 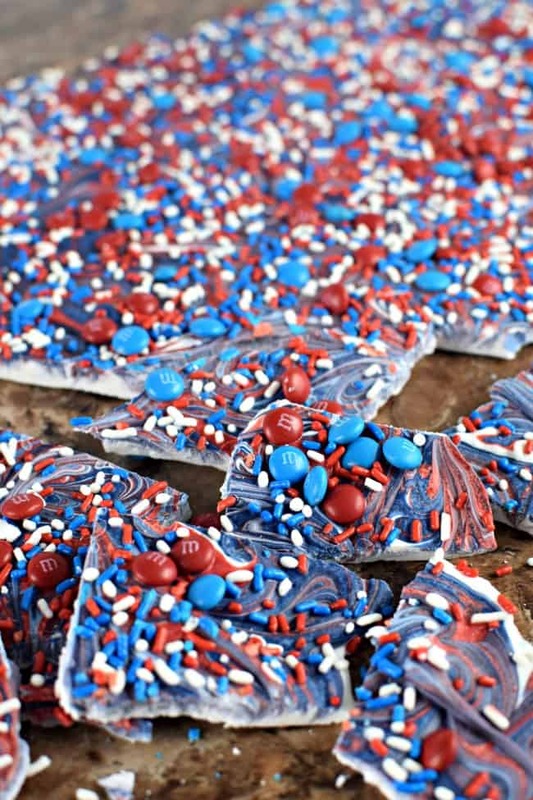 Some red, white, and blue candy melts, Fourth of July sprinkles and mini m&ms. You will also need a double boiler, candy melting pot or a microwave! Plus it makes enough to feed a whole crowd of party goers. Lightly oil a tin foil lined cookie sheet. 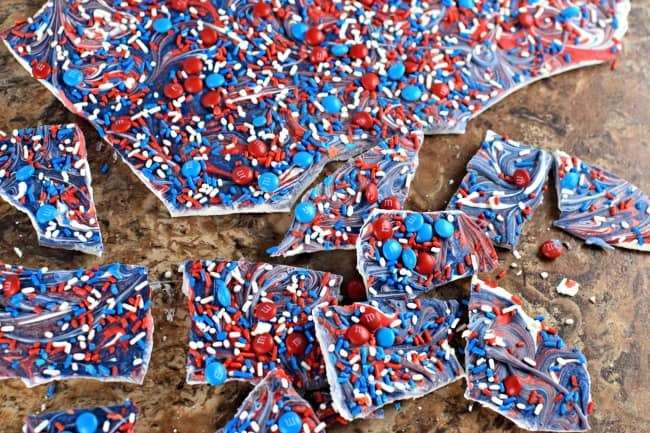 Once your candy is melted, pour the white candy melt onto the cookie sheet and spread out evenly. Now take your melted blue and red candy melts and add layers or dollops. 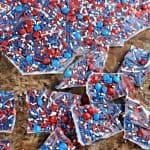 Use a toothpick and swirl the candy layering the red, white and blue colors in a marbled/swirled look. Once you have your swirl just right add your sprinkles and m&ms. Allow to set until candy hardens. 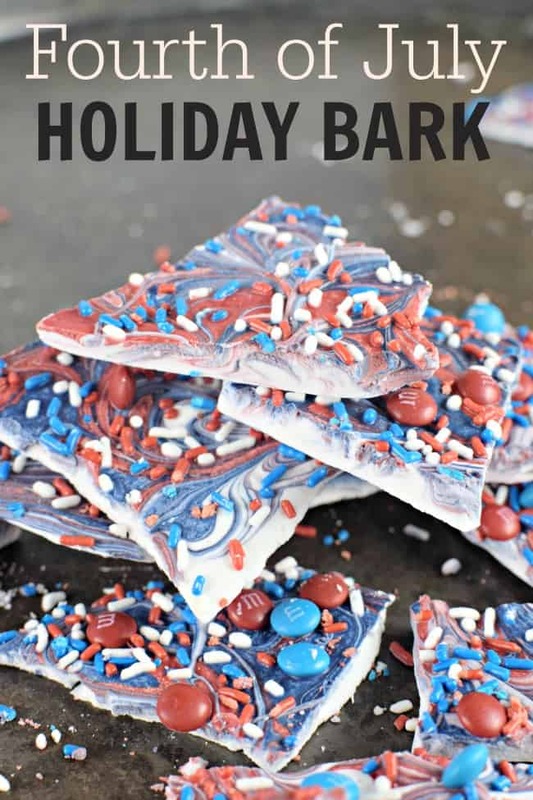 This festive holiday bark is so beautiful when the colors are swirled together. It also doesn’t hurt that it is absolutely delicious and addictive as well. You will also need a double boiler candy melting pot, or something to melt your candies in. You will also need a toothpick.